Enterosgel nutritionist Kym Lang explains IBS triggers to watch out for over the Christmas period, with tips to keep your symptoms under control so you can enjoy the festivities. Kym is an experienced nutritional therapist with a busy London digestive health practice. She helps people with frustrating digestive problems like IBS get out of pain and discomfort and enjoy food again. Kym is also a health information advisor and Board Trustee for a leading bowel cancer charity. She is registered with the Complementary and Natural Healthcare Council (CNHC) and is a member of the British Association for Applied Nutrition and Nutritional Therapy (BANT). Managing irritable bowel syndrome (IBS) can be a challenge over Christmas. There’s festive food and drink at every turn, and it’s easy to overindulge. But for many IBS sufferers, the fallout can be symptoms like pain, discomfort and chronic diarrhoea. Here I share my tips on forward planning and self-care to help you keep IBS under control, so you don’t miss out on the fun. Classic Christmas dishes, alcoholic drinks and rich desserts can bring on IBS symptoms. Large portions are also a common trigger. But getting to know your personal limits will put you back in control. Try to avoid your main trigger foods completely, so you don’t have to worry. Instead of piling your plate high, take smaller portions of a few foods you love so you can indulge without suffering. A big Christmas Day meal can wreak havoc on the gut, even more so if you have a sensitive stomach. But my tips and tricks will help you enjoy the big day. If you’re invited to a Christmas meal at someone’s home, give them a list of your trigger foods in advance so they have time to think about alternatives. Having IBS symptoms like chronic diarrhoea can be embarrassing, but friends and family will want to help. If you don’t want to impose, you could eat a small meal before you go. Lean protein is generally a safe choice as are many vegetables, so you can still enjoy some of what’s on your plate. If your host asks, just complement them on their cooking and tell them you are not very hungry. Another tip is to bring along a side dish or dessert that’s a safe choice for your stomach, like a low FODMAP fruit salad. You can even make some snacks to share. My lemon coconut truffles are a favourite. Blend macadamia nuts, lemon juice and zest and coconut flakes with vanilla extract, then roll into balls and dust with desiccated coconut. Your friends will complement your kitchen skills without suspecting a thing. Of course, you can also offer to host the big day. It’s a great chance to introduce loved ones to tasty dishes they might not have tried before, whether dairy-free, low FODMAP or just lighter versions of festive favourites. Let’s face it, Christmas can be anxiety-inducing, whether you are worried about festive meals you can’t eat or spending time with people you don’t often see. But stress has a direct impact on IBS symptoms. That link even has a name – the gut/brain axis. When you’re upset, you can feel it in your gut. So it’s important to look after yourself. You don’t need to say yes to every social occasion. Schedule some me-time into your diary, and your body and mind will thank you. 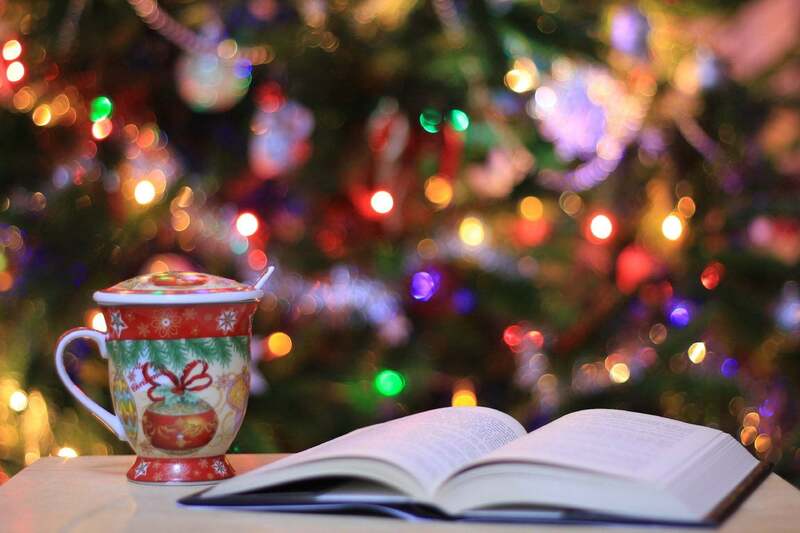 Some of my favourite ways to relax at Christmas include eating a quiet breakfast, going for a long walk and settling down with a good book. Sinking into the couch with a box of chocolates is almost a rite of passage after a big Christmas lunch. But this won’t do your digestion any favours. Find a comfy chair instead, and sit up straight. Good posture will also help you eat more mindfully. Choose your favourite chocolate from the box and take time to really taste and enjoy it. Studies show that mindful eating can help with digestion, portion control and mood, and reduce cravings – which will all keep your IBS under control.